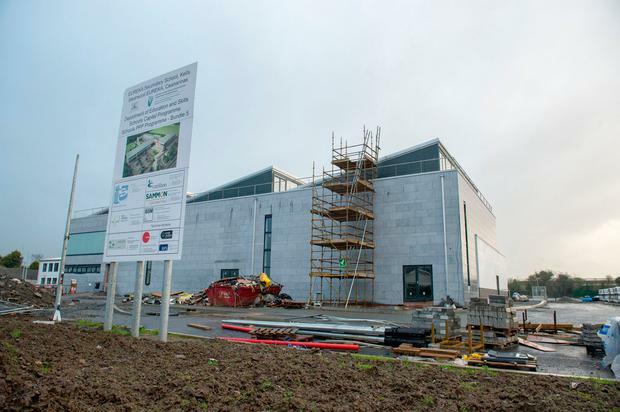 A sub-contractor working on an Irish school affected by the Carillion collapse claims that he is still owed thousands of euro for work done on the school. 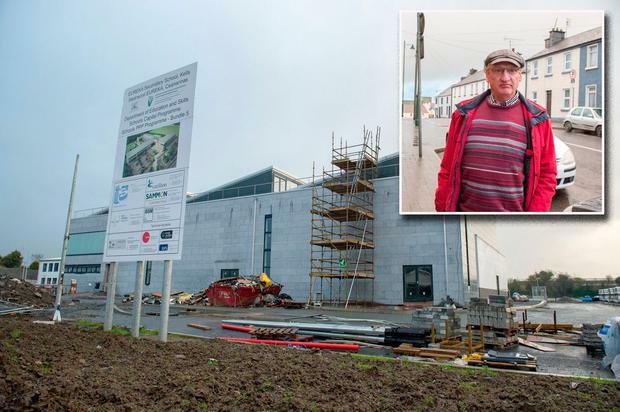 Sub-contractor Niall Reynolds (65) from Navan, Co Meath was working on the Eureka Secondary School building in Kells, Meath which is now 90 per cent completed. Eureka Secondary School is one of the schools that was being built by the Sammon Group, which got into difficulty over the collapse of UK construction giant Carillion. Speaking to Independent.ie, Niall Reynolds said that the sub-contractors have been "hit worst" by the Carillion collapse. "We were working for months on the schools and now we want to get paid. 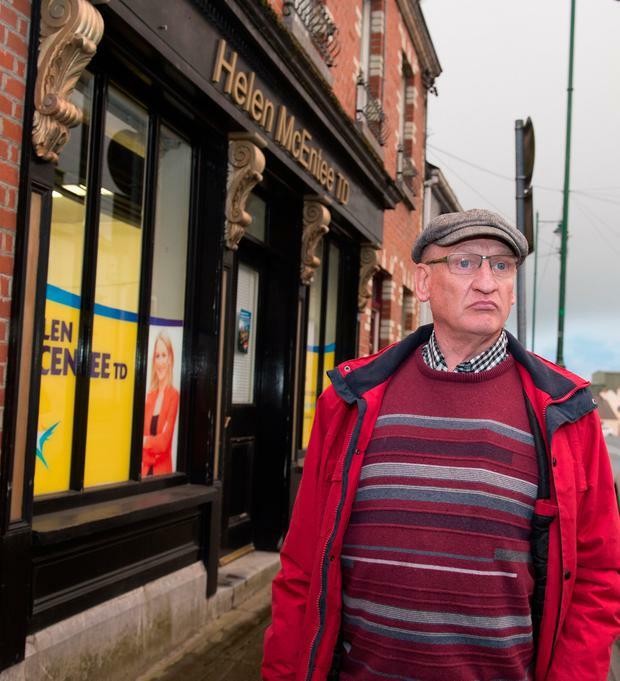 "I'm owed €16,000 but some of the sub-contractors are owed more than €200,000. We want to be paid the money that we are owed. We are very angry and frustrated. "I began working on the schools last August and my invoice was left outstanding in November. I was paid my December invoice and then the payments stopped again so I ceased working on January 25." 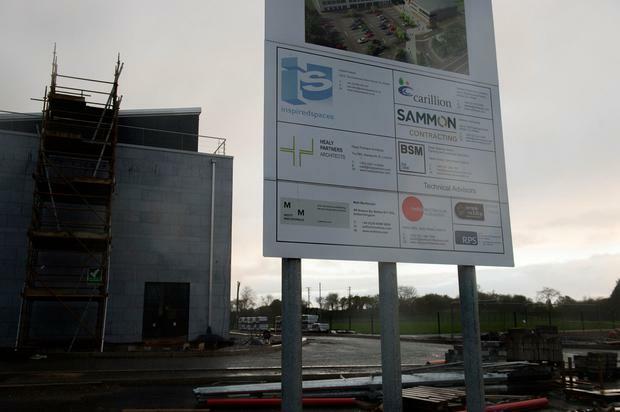 Earlier this year, Irish group Sammon sought the protection of the courts as it is owed some €8m by an entity involving Carillion. Michael McAteer of Grant Thornton Ireland was appointed interim examiner to Sammon as the court was satisfied after an independent expert's report stated the companies have a reasonable prospect of surviving if certain steps are taken. These steps include the examiner putting together a scheme of arrangement with the group's creditors. Niall said that the financial stress has put a huge strain on the sub-contractors. "We feel completely let down by the Government and by the Sammon Group. This work is our only source of income. "I'm 65-years-old. I'm not looking for sympathy. I just want to go out and work and get paid for it. It's as simple as that. "It's our time and money that went into building those schools." Niall said that the Eureka secondary school has been "left to go to waste". "We will place pickets on the schools if we have to. Some of the schools are nearly finished. It's an incredible waste to leave them." Fianna Fail spokesperson on Education and Skills, TD Thomas Byrne, said that he has "huge sympathy" for the sub-contractors. "The Eureka secondary school is almost finished but there are doubts that it will open in September. The Sammon Group has been appointed an examiner in the courts and so far that has brought little comfort to the sub-contractors. I've no doubt that they are owed thousands of euro." Deputy Byrne said that the school is much needed in the community. "The school was originally good news for the community, but it has turned into bad news for the sub-contractors in the area. I have huge sympathy for them. Hopefully some of them will get more work finishing off the schools but it's difficult to say how the results of the examinership will fair. "It's not just Eureka, there are a number of schools left unfinished across the country due to the collapse of Carillion." Minister Helen McEntee, who has met with some of the sub-contractors in Kells, said she will ensure that their concerns are heard in the Dáil. “I met with a number of sub-contractors in Kells in my office on Tuesday evening who have been impacted by difficulties surrounding the Public Private Partnership bundle 5; that includes Eureka Secondary School. Their particular concerns are unfortunately now a matter for the courts and it is not possible to intervene in this process. "The difficulties which the company has faced are as a direct cause of the collapse of Carillion (where Sammon was the builder/supplier engaged by Carillion for the Schools Bundle 5 PPP project). "Sammon has secured the funding required to support the company through this process and looks forward to progressing these plans and exiting examinership as quickly as possible. "We are working closely with all of our industry partners to ensure the long term viability of the business and are continuing to trade as usual during the period of examinership." The spokesperson added that they will work closely with all sub-contractors who have been affected. "Any sub-contractors that we have on our current sites, have been paid in full and to date for works ongoing since April 6 - the entry day of examinership, in line with our contractual obligations to them. "Any unpaid claims that sub-contractors or suppliers have (with reference to the period before the examinership) will form part of the examiner’s review of the business. The examiner and the company have been in contact with creditors to keep them updated on progress. "It is very regrettable that we had to seek an examinership, but we are confident that this will provide a framework in which the company will be able to continue its business in the future. We are very grateful for the patience and understanding of our creditors and industry colleagues as we continue our business recovery programme." "Carillion Construction Ltd went into liquidation in January of this year. As a consequence of this liquidation, the construction works contract relating to the PPP Project is being retendered. The tender process in this respect is being undertaken by infrastructure fund manager DIF on behalf of Inspiredspaces. "In their progress report at the end of December 2017, Inspiredspaces provided confirmation from Carillion Construction Ltd. that Sammon Contracting Ireland Ltd had been paid in full in accordance with their sub-contract to that point and that there were no issues arising." The Department of Education added that it is a matter for sub-contractors and suppliers to agree terms and conditions and a schedule of payments with the main contractor as their direct employer or customer. "Contractual/payment issues arising under these and any other sub-contracts are for the relevant contracting parties to resolve. As an examiner has now been appointed to Sammon Construction Ireland Ltd, the examiner will also have a role in this regard. "The Department of Education and Skills is not party to the construction or other sub-contracts relating to Schools Bundle 5 and does not have any authority to intervene."